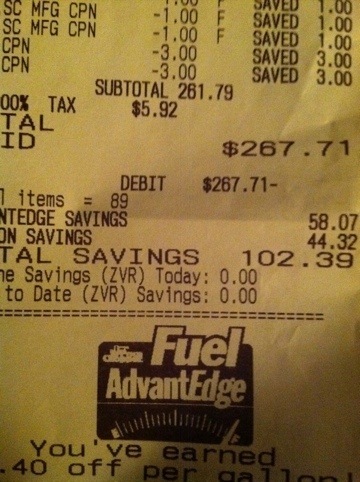 Tonight, I reached a new milestone in my couponing career..I saved $100. I was one of those annoying people who took 30 minutes to check out and caught many a hairy eyeball and exaggerated sigh that were thrown my way. Nonetheless, I stayed the course and knocked 25% off my bill. I had to have manager approval because I “saved too much”. I even picked up those annoying things that can be high ticket items like Flintstones vitamins, Venus razors and paper towels. I have also been stockpiling a few things here or there in an attempt to bring our overall budget down. 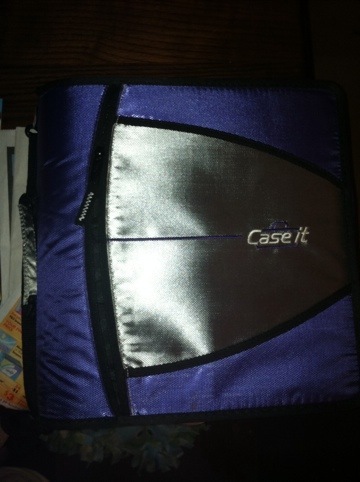 With my organized binder, triple coupons and a grocery app, I have stocked my pantry and freezer, let my child pick out some special lunch things and did not break the monthly budget.